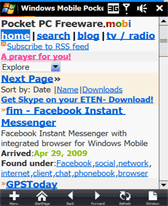 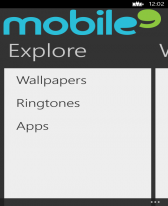 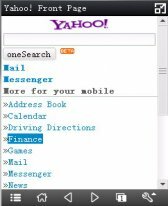 browser freeware downloads for Windows Mobile Phone. 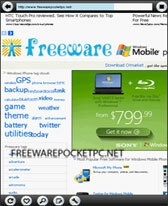 Summary: Auto Refresh Browser helps windows mobile users , when user want automatically refresh web page frequently. 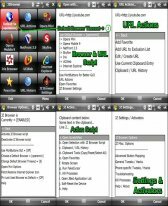 Summary: UC Browser is a professional browser with multi windows, download manager, shortcuts, site navigation, online media,search engine access and so on. 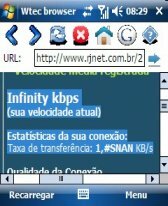 Low data traffic and load quick! 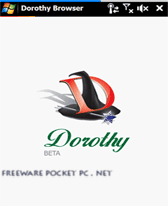 Summary: Dorothy Browser is a Webkit-based mobile Internet browser from Company 100, Inc.
Summary: Zetakey Webkit Browser offers a Webkit-based browser solution to device OEMs who require a high-performance browser for Windows CE 5.0/6.0, Windows Mobile, BMP/BREW and Embedded Linux.